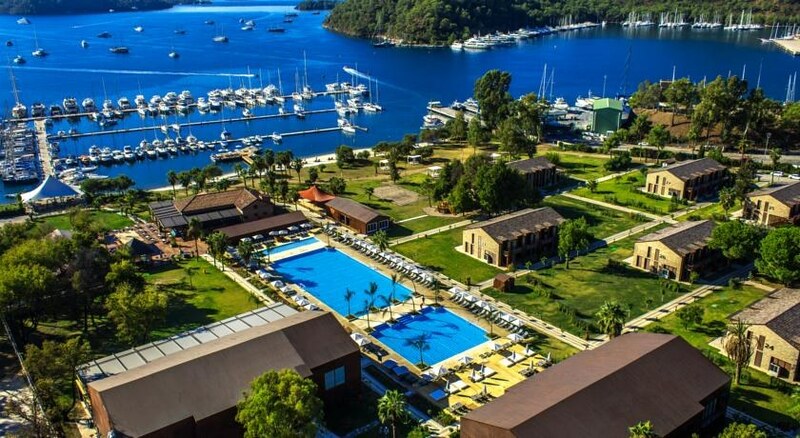 Situated at the seafront of the beautiful RIXOS PREMIUM GOCEK, the all-inclusive RIXOS PREMIUM GOCEK has a private beach. Surrounded by pine trees, the resort offers an outdoor pool, a fitness centre, tennis court, and spa and wellness facilities. 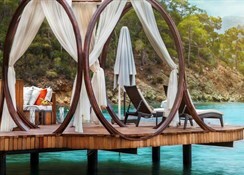 The rooms of Rixos Premium Gocek Suites&Villas feature a modern dÃ©cor. Each room includes a flat-screen TV, air conditioning and a minibar. 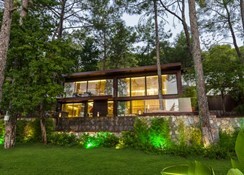 Some rooms also offer a balcony or a terrace with garden views. With a highlight of International cuisine, Turquoise Restaurant offers an all-day dining buffet, Peopleâ? ?s Restaurant serves all day aâ? ?la carte menu while Azur is the secluded dining experience serving cuisine of the sun. Daidala, serve Aegean sea food, the grill serves BBQ. The Bars offers beverages and refreshments. Anjana Spa features wellbeing treatment rooms in the nature, a Turkish Hammam, Sauna, Steam facilities and Techno gym fitness center. 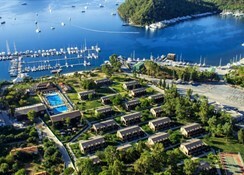 Gocek Marina is 100 metres from the resort. Dalaman Airport is 20 km away.